Status: offline It takes 8 years just to PLAY AE This is not a bad thing, either. Status: offline Time sure flies. Maybe we can wish Matrix Games Happy Birthday and they will do a ultra new AE game for us. Status: offline Yeah, and the game is still in the New Releases section. Status: offline Happy birthday, AE, and a wave to all those I have met because of it! Status: offline However, I think AE was born not now (8 years ago), but much earlier, that is vanilla WitP. I really hope to see some new edition soon !!! Status: offline Happy Birthday to the game! And many thanks to all that made/make it great - including the forum. Status: offline Happy birthday to a fine game. Status: offline I have yet to complete one campaign and I've had this gaming system for the whole time. Status: offline Thanks to the Henderson Team! Some are still around, some have moved on, but Cheers! to all. Thanks for a great result from an awesome effort. Status: offline 10 years and dreaming about a new version! 10 years and dreaming about a new version! Status: offline Happy B-Day to AE. Seven and eight years ago, I predicted this game would hold my interest for at least a decade. Has it met that expectation? I'm very thankful that the community has remained so vibrant and large, with lots of old timers phasing out and newcomers coming in. Probably 50% of my enjoyment of the game is this community and reading AARs and posting my own AAR. Thanks Henderson folks. Thanks Matrix. Thanks AE Forumites. Best game ever. Best gaming community ever. Status: offline Once you factor in the time spent figuring out things this is the cheapest form of entertainment I have ever owned. That includes the donation to get michaelm a new laptop! I spend so much time on this that my wife says I work too hard at my play. Status: offline I'll just echo what everyone else has said so far! Status: offline There are still a half dozen or so contributors, testers, and programmers that still frequent these boards. Can you guys figure out who's still around? Status: offline Eight years.... I would have never guess that. I guess that explains the gray hair! Status: offline A well deserved birthday. An incredible game and a good group of forumites to go along with it. 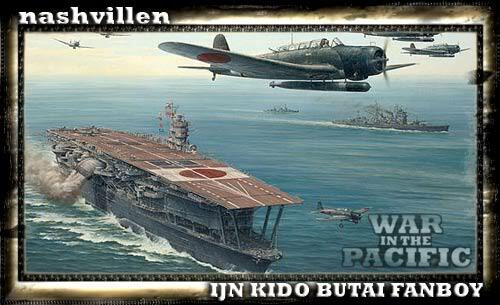 Status: offline happy birthday to WITP_AE, i have yet to play a full campaign but i have replayed the Guadalcanal scenario a number of times. Status: offline Happy Birthday AE! Status: offline Happy Birthday to a great game and community!! Status: offline If you count its great grandpa 'Pacific War' I've been playing the same game since 1996 or somewheres thereabout! I just retired to part time work, so my mind is getting a bit sloppy!